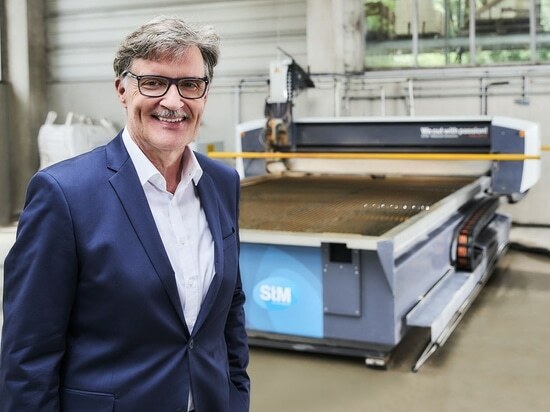 Austrian waterjet specialist STM acquired the sole production rights to BYSTRONIC waterjet cutting systems as of 1 September. To this end, the STM Group in the Swiss town of Appenzell has founded the new subsidiary STM SWISS AG in addition to its locations in Schweinfurt/Germany and Eben/Austria. This step marks the beginning of a strategic partnership in which STM is responsible for new business and the tuning of existing systems. BYSTRONIC will continue to be responsible for customer service and the provision of spare parts for existing systems. In the area of research and development, STM wants to make system configuration as compatible as possible across all brands, especially with regard to software and components. The STM waterjet software “SmartCut” is already compatible with the data format of the BYSTRONIC software. Long-term plans also include the development of a high-end system series that combines the design advantages of both brands. Until then, BYSTRONIC customers will find an efficient alternative to the BYSTRONIC “ByJet” in the STM model “PremiumCut” which also offers potential customers crucial advantages: This system can also be optionally equipped for 2D or 3D operation and thus with TAC and 3D cutting heads. The STM modular system as a whole also offers almost unlimited possibilities for adapting or retrofitting the system configuration to individual requirements. The new partnership also offers the option of trimming existing BYSTRONIC systems with the new “STM Jet” high-pressure pump for greater efficiency and greater ease of operation. To this end, STM plans to launch a tuning campaign with special conditions for BYSTRONIC customers by mid-2019. Apart from new business, the venture will have virtually no impact on employees and customers, because there are not plans to either reduce personnel or migrate. “This solidarity makes working more attractive to all concerned.” Jürgen Moser, Managing Owner of STM Stein Moser GmbH, states: “Above all, users benefit from double service power, a strengthened infrastructure, an increase in know-how and a broader product range.” For further information, see www.stm.at. The name rights for BYSTRONIC waterjet systems remain with BYSTRONIC AG, as well as the complete customer service, i.e. all operators of BYSTRONIC waterjet cutting systems worldwide can continue to rely on the proven workflow and will receive spare parts for all systems built after 2000 until further notice. At the same time, they benefit from the full-service portfolio of the STM Group, which now treats BYSTRONIC customers as regular customers. This begins with consulting by specialized waterjet application engineers, continues with preferential conditions for the purchase of STM waterjet cutting systems and components, and ends with customer service for users who use both systems. In addition, it should be ensured as quickly as possible that the Bystronic “BySoft” CAD/CAM system can also be integrated in STM systems and the STM “SmartCut” software vice versa in BYSTRONIC systems. In addition, STM Waterjet will create the conditions for the production of the “BYSTRONIC ByJet Flex” model at the Eben site. In a second step, a new model series will be added to the range, combining the advantages of both systems. BYSTRONIC users can benefit from STM know-how in the areas of individualisation, micro-cutting and angle error compensation in addition to the usual performance features. BYSTRONIC customers now have privileged access to the STM modular system which consists of the four portal system lines “EcoCut”, “MasterCut”, “PremiumCut” and “PremiumCut IFC”. On the basis of these four models, STM can configure tailor-made complete systems for any requirement profile and convert or upgrade them at any time – from simple two-dimensional cuts to tube processing to nested, three-dimensional robot cutting processes. Around 150 individualisation options are available to choose from for greater performance, flexibility, process reliability, ergonomics or sustainability. Each system can be used for pure water, abrasive or combined cutting processes. 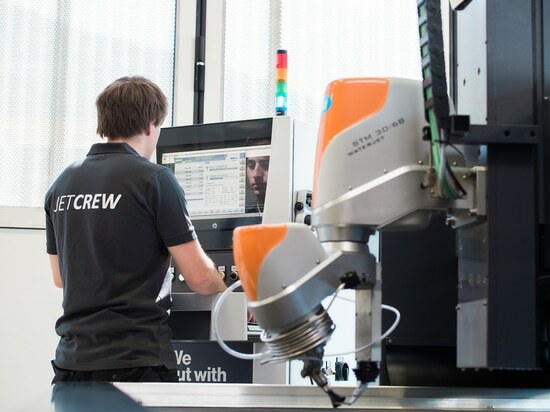 This means that all machines can cut a wide variety of materials without retooling. Parallel cutting (2D) with up to six cutting heads is also possible. With its additional compact systems “RobotCut MJ”, an extremely path-accurate 6-axis robot, and “MicroCut MJ” for the production of extremely delicate components in the range, STM offers an innovative waterjet production solution for all currently possible areas of application. Functionality, economy, ease of operation and transportability are the decisive factors for the design. Construction and price-performance ratio also prepare small and medium-sized companies for the entry into the waterjet cutting technology of the future. All systems are manufactured in series, pre-installed, tested and usually delivered ready to use. Interested parties can partake in in-depth discussions on the STM stand no. B20 in hall 2 at the Intec in Leipzig from 05. - 8.February 2019, experience live cutting presentations and get information or an initial consultation any time at www.stm.at. 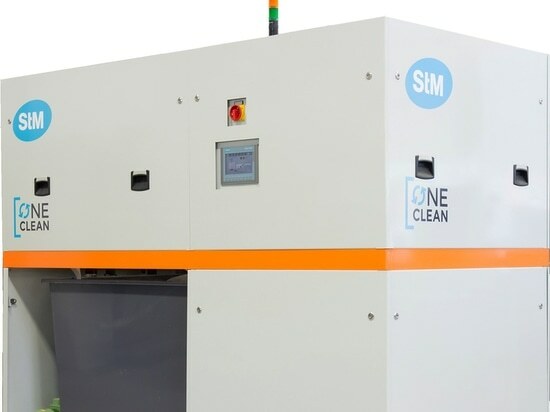 The STM OneClean system with a module for fully automatic recycling of abrasive sand makes waterjet cutting systems even more profitable and at the same time, more sustainable. A waterjet cutting system is only as good as its high-pressure pump. 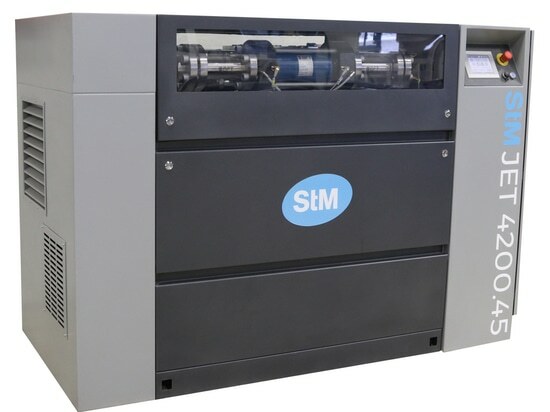 STM has therefore now developed a high-pressure pump that plays all parts. The focus hereby was on performance, energy efficiency and minimum pressure fluctuations. The Austrian Gröbner GmbH rose 2016 with an exciting expectation in the water jet Technology. today, The stone carving company is almost overwhelmed by its advantages-and the associated economic success. A case Study. 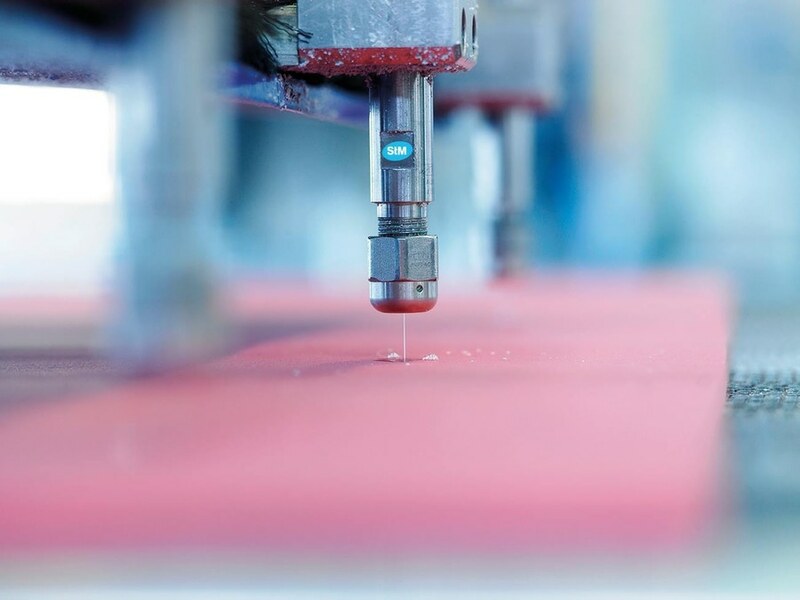 The Austrian technological leader facilitates the entry into intelligent, fully automated production for manufacturers with waterjet cutting systems integrated with industry 4.0 in combination with active application advice.